It is with great enthusiasm that we announce the SMART Recovery MAT/OAT Behavioral Care Support Program. Through this initiative, we will help medical professionals start SMART Recovery meetings to satisfy the behavioral care requirement for those applying to administer medication-assisted treatment (MAT) using opioid agonists or to increase the number of MAT patients you serve. This program is for practitioners authorized to provide MAT through waivers that allow a wider range of professionals to participate. This includes professionals in rural areas who serve a small number of patients and providers elsewhere seeking to significantly increase their caseload. Please click here to contact us with your interest in utilizing SMART Recovery to satisfy your behavioral care requirements. 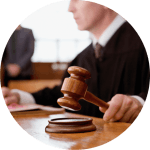 About MAT and OAT: MAT including opioid agonist treatment (OAT) is the “Gold Standard” when accompanied by a behavioral component for helping people recover from opioid use disorders. This view is shared by the Substance Abuse & Mental Health Services Administration, the Surgeon General, and medical authorities worldwide. MAT with behavioral support reduces overdose deaths, illicit drug use, drop out from treatment, addiction-related illnesses and emergency-service use, and enhances social integration that patients need to recover. Learn more about MAT on this page. 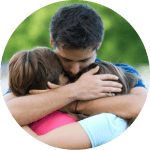 How SMART Recovery Can Help: Unlike some other mutual-aid groups, since its beginning in 1994, SMART has always welcomed participants using appropriately prescribed, FDA-approved medications for treatment of an addiction and/or its underlying mental health problems. 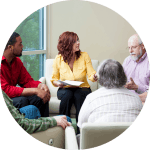 Through this multifaceted MAT/OAT Behavioral Care Support Program, providers can offer SMART meetings internally (as a chargeable service) or externally for patients and others in their community. Meetings can be facilitated by professionals or peers who complete the SMART training program. Available to all practices, treatment entities and professions with regular access to a licensed prescriber of FDA-approved medications. SMART Recovery Mutual Aid meetings can provide the behavioral component of MAT. There are over 3,000 weekly SMART Recovery meetings globally, 2,000 in US & Canada. 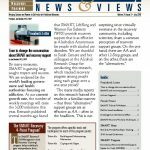 SMARTRecovery.org receives almost 2,000,000 visitors per year and has over 250,000 registrants. Cost of Program: One-time initial year cost is $2,000 with a $1,000 annual renewal fee. 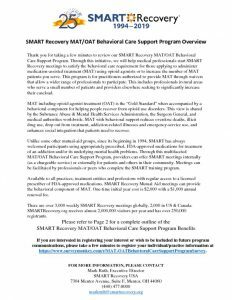 Please continue reading to learn more about the SMART Recovery MAT/OAT Behavioral Care Support Program and how you can contact us with your interest. Monthly online Journal Club for discussion of important germane articles on MAT issues. 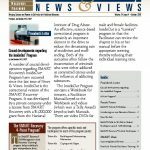 Electronic media introducing and explaining SMART Recovery 4-Point Program for clients/patients. SMART Recovery “InsideOut” Correctional Program materials can be substituted for regular SMART Recovery materials. The development of the InsideOut Program was funded by NIDA. Access to offered, evening online SMART Recovery Meeting Management Forum, in which problems which have emerged in SMART meetings are discussed by a group of experienced facilitators, as well as logistical issues relating to meetings. If you would like this information sent to you via email, please contact markruth@smartrecovery.org. If you are interested in registering your interest or wish to be included in future program communications, please take a few minutes to register your individual/practice information at https://www.surveymonkey.com/r/MAT-OATBehavioralCareSupportProgramSurvey.